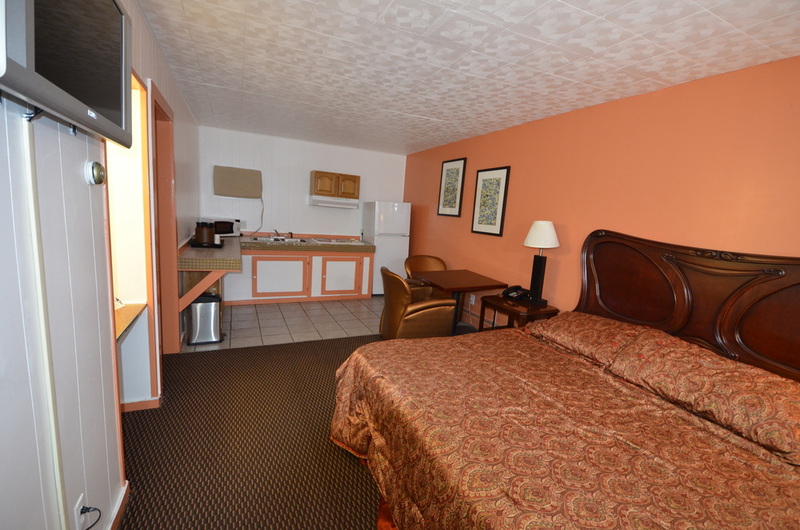 Room with one Queen-size bed has fully-tiled bathroom with shower. 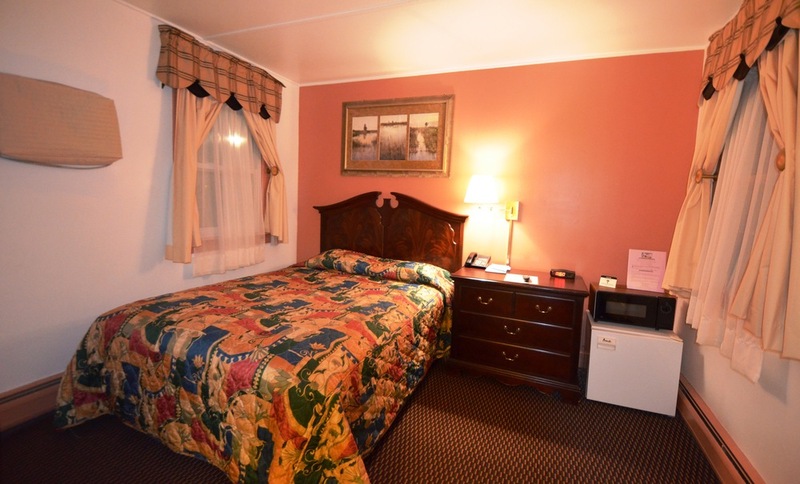 Amenities includes mini-fridge, microwave, hairdryer, iron with ironing board, dresser, work desk, coffee maker, LCD flat screen with cable, free wireless high-speed Internet, digital clock radio, and a phone with free local calls. 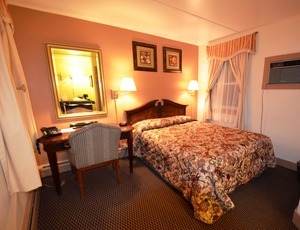 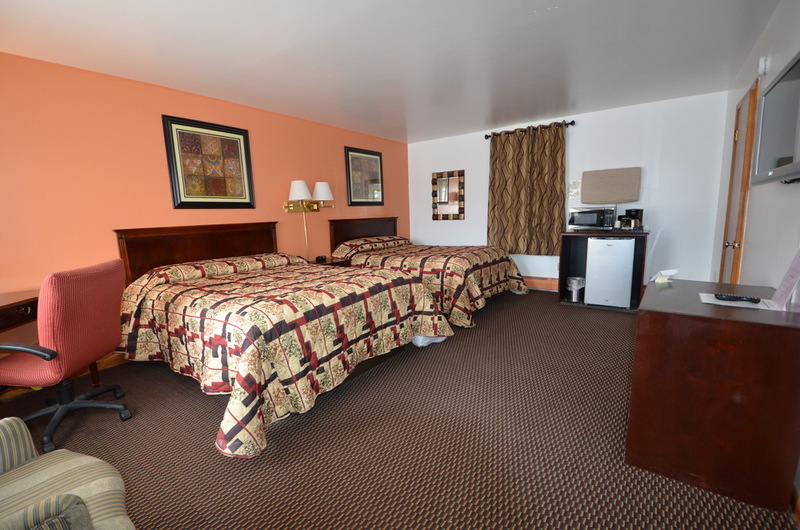 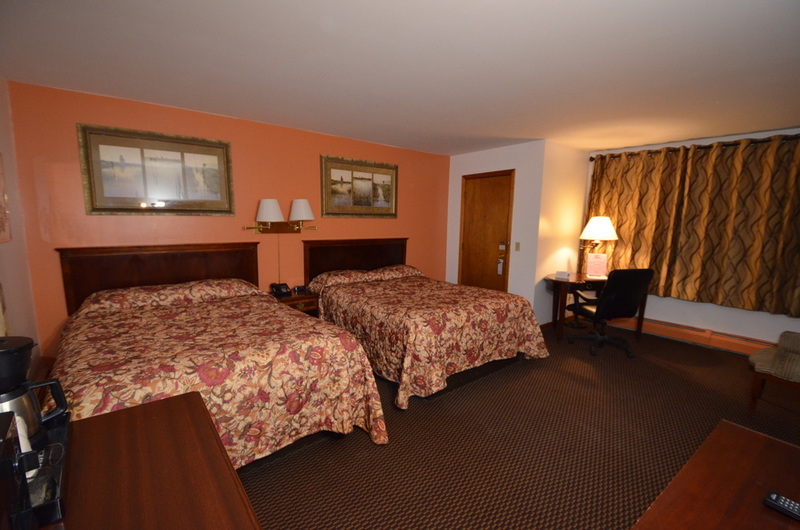 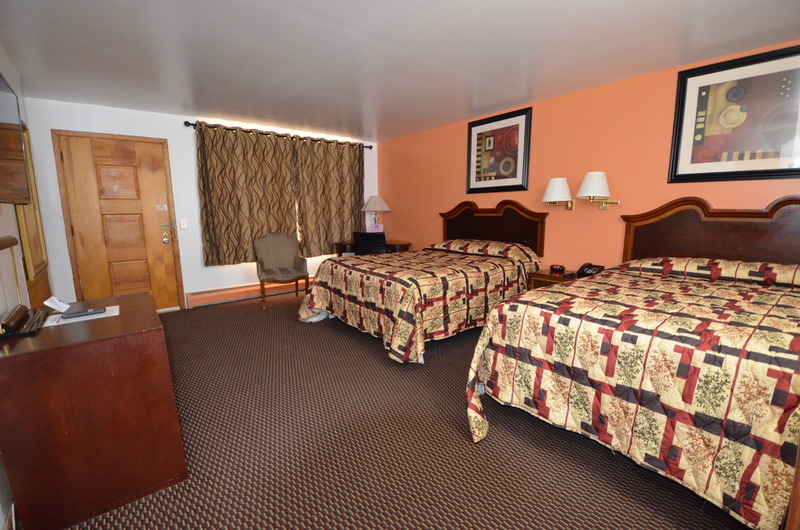 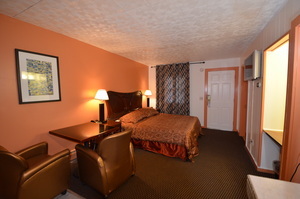 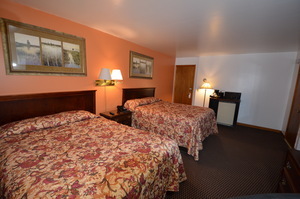 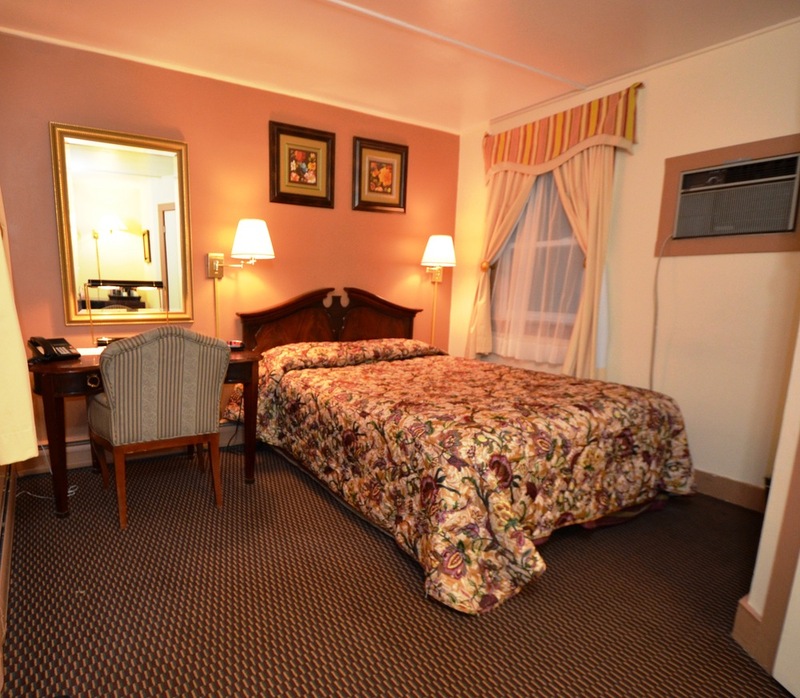 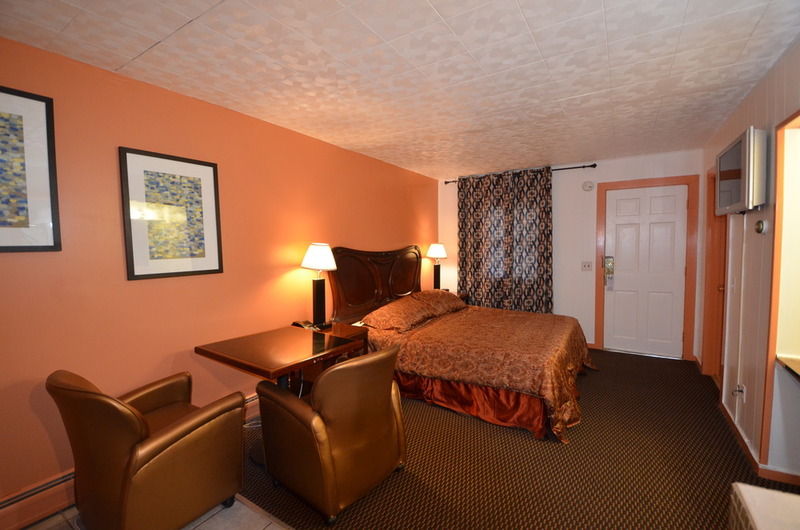 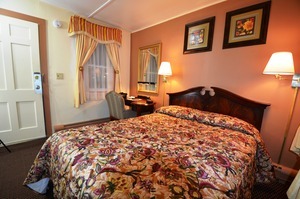 Room with Two Queen-size beds has fully-tiled bathroom with Bathtub or shower. 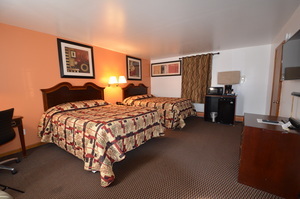 Amenities includes mini-fridge, microwave, hairdryer, iron with ironing board, dresser, work desk, coffee maker, LCD flat screen with cable, free wireless high-speed Internet, digital clock radio, and a phone with free local calls. 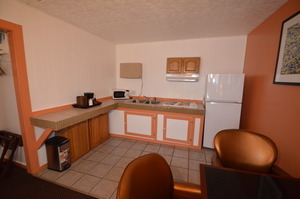 Room with One King bed has a Kitchenette that includes most of the Kitchenware. 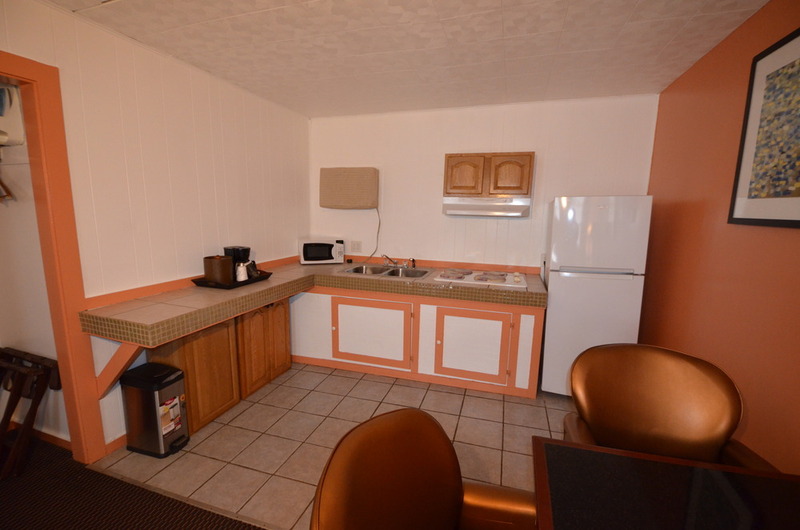 Amenities includes electric stove, full size fridge, microwave, iron with ironing board, dresser, coffee maker, LCD flat screen with cable, free wireless high-speed Internet, digital clock radio, and a phone with free local calls. 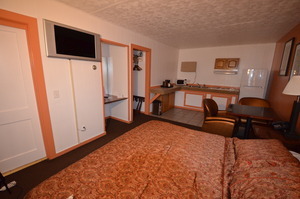 This room has fully-tiled bathroom with Bathtub and hairdryer. 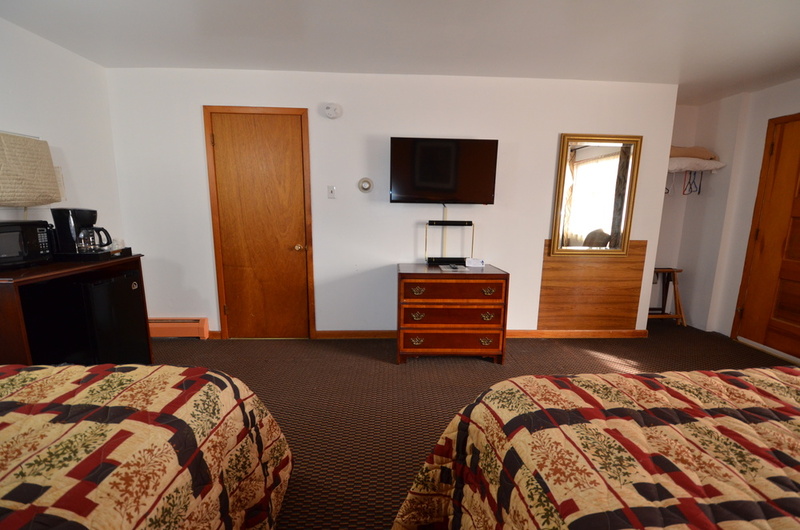 This room type is not available for one or more of your dates. 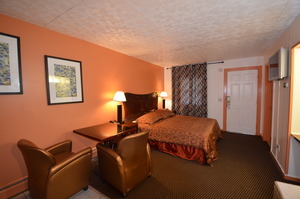 Please call 413-458-5202 to inquire about additional availability.